Cardiovascular disease can no longer be considered a problem of only affluent countries. With rapid industrialization, socio-economic development and increase in life expectancy, the stage is now set for chronic diseases in India. In recent years, there has been a significant change in lifestyle and dietary patterns with growing affluence. 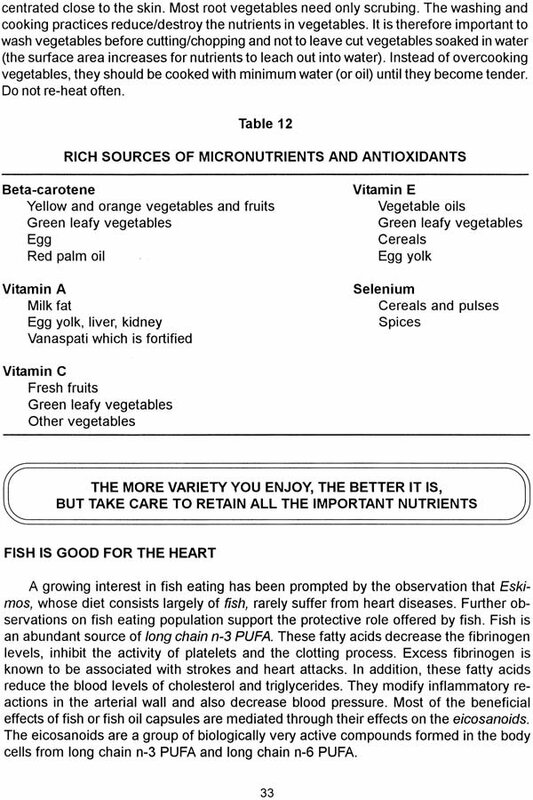 There is enough evidence linking dietary habits to cardiovascular diseases. New research findings in this area indicate the potential value of diets in prevention of such disorders. It is probably the right time to take a fresh look at the diets consumed by our population and formulate appropriate dietary guidelines to prevent and control these diseases. This book is an attempt in that direction. 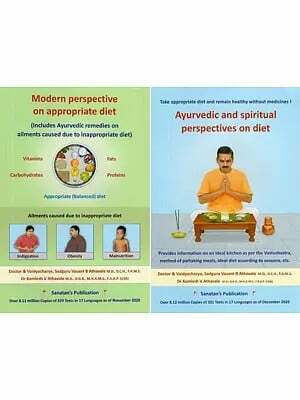 The authors of the book are senior scientists of National Institute of Nutrition (NIN), with considerable expertise in the field of nutritional sciences. Dr. Ghafoorunissa, Ph.D. in Biochemistry, has made valuable contributions in the area of lipids in health and disease. Dr. Kamala Krishnaswamy, M.D. Internal Medicine, is known for her long time involvement and significant contributions in the area of chronic diseases. 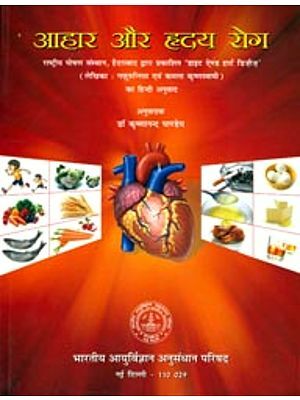 The book reflects the research work done at NIN and its translation into practical dietary guidelines for managing coronary artery disease and hypertension. The authors have examined the important relationships between diet and the cardiovascular diseases in a comprehensive manner and suggested suitable diets for reducing the risk of such disorders. They also advocate changes in lifestyles that are necessary for healthy and productive life. I am sure this information will be useful to physicians and dietitians as well as the patients. Cardiovascular disease, cancer and diabetes appear to be the most common causes of disability and death in many parts of the world. Scientific evidences today support the concept that these diseases have their roots in our daily diets. In recent years, re- searches at National Institute of Nutrition (NIN) have focused attention on dietary aspects of the above diseases. Heart disease and stroke evoke fear in every one of us as they catch you napping all of a sudden. They cause physical/mental trauma or premature sudden death. Recent findings suggest that these diseases are steadily increasing in India and may become a major public health problem by the turn of the century Though we have the best medical and surgical treatment, it is undoubtedly ideal to prevent these diseases. This is particularly important because of the exorbitant cost of treatment. 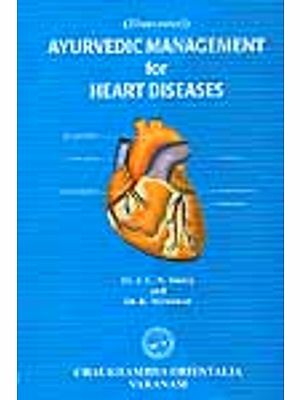 This book provides an up-to-date information on diet-related aspects of heart disease in adults, examines the subject in the Indian context based on the researches done at NIN and provides dietary guidelines for its prevention. The principles underlying the dietary guidelines are based on Indian studies and some aspects are adapted from Western data. We have described in simple language the function of the heart and the disease process responsible for heart attacks. 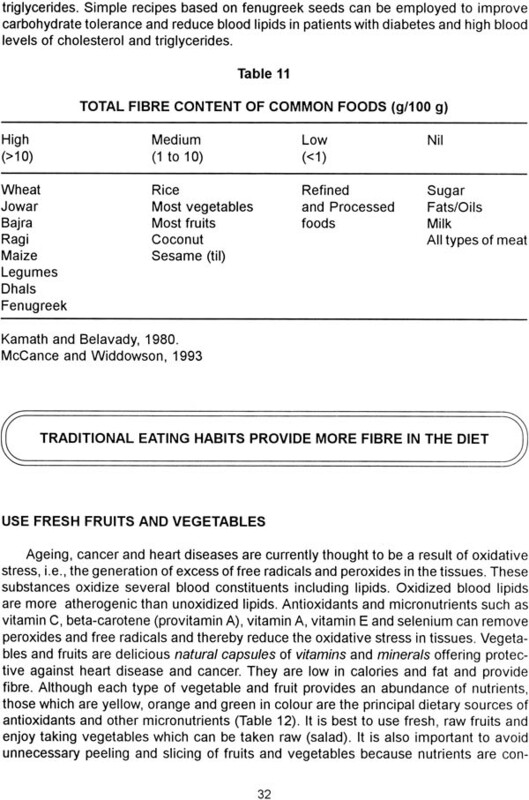 This is followed by risk factors and the scientific rationale behind each of the dietary guidelines. Apart from diet, other lifestyle factors have also been included to give a holistic approach to the topic. The book caters to a mixed readership. While some of the sections are undoubtedly technical, the research findings have also been distilled into simple and practical messages. It will be useful to doctors, dietitians, students as well as the general public. It is our earnest hope that this humble effort of ours will motivate the public to preserve our healthy traditional lifestyles and refrain from choosing unhealthy easy options that the modern world offers. We are grateful to Dr Vinodini Reddy, Director, National Institute of Nutrition, Hyderabad, for her interest and constant encouragement. We are pleased to thank Dr C. Gopalan, President, Nutrition Foundation of India, New Delhi, Dr. G V Satyavati, Director-General, Indian Council of Medical Research, New Delhi, Dr. S. Padmavati, President, All India Heart Foundation, New Delhi, Dr. P. Satyanarayana Rao, Emeritus Professor of Cardiology and Dean, Faculty of Medicine, Osmania University, Hyderabad, and Dr. K. T. Achaya, President, Nutrition Society of India, for reviewing the book and giving valuable suggestions. We thank all our colleagues for their helpful comments. Proper diet is the key to good health and vigour. Diet and nutrition are synonymous with health. 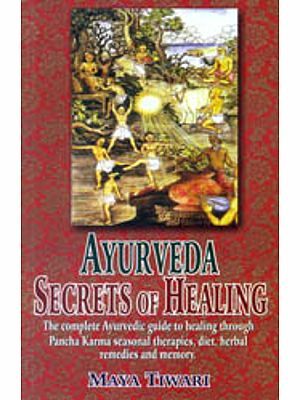 It provides the necessary nutrients which give energy, promote growth, and sustain the metabolic functions and repair processes that are essential for life. The preventive role of corrective nutrition is an ever-evolving process. Inadequate and improper diets are not only responsible for undernutrition, but also contribute to several chronic degenerative diseases such as cardiovascular diseases, diabetes and cancer. Everyone wishes to remain youthful even in old age. Sensible and healthy food habits right from childhood coupled with good lifestyles can, not only delay ageing and increase the life span, but also add to the quality of life. "HEALTH FOR ALL BY 2000 A.D." and "ALL FOR HEALTH" should encompass diseases due to inadequate as well as faulty diets. As we move up the ladder of economic prosperity, diet-associated chronic diseases begin to assume significance. A changing demographic profile and techno- logical progress can lead to many health problems. Coupled with sedentary lifestyles, imbalanced diets can contribute to chronic degenerative diseases. Cardiovascular diseases have no geographic and racial boundaries. They occur throughout the world, in all races and in all strata of society, though variations between sexes, ages and socio-economic status do exist. They are life threatening and are responsible for the majority of deaths in many countries. Since they are often fatal, biomedical research all over the world is directed towards prevention of heart diseases at an early stage. Attempts are being made to define living habits that might be associated with an increased risk (Page 9). Combating heart disease is one of the challenging problems of medical science. Treatment, though advanced, is only one component of the care of heart patients. It is expensive and often beyond the reach of the common man in developing countries. It would be to our advantage to prevent the disease through several available approaches.